For the first time, AKIHO, LA branch exhibited at the Northern California Cherry Blossom Festival in San Francisco Japan town on April 18th, 2016. The interests that we got from everyone was amazing and they just loved our Japanese akitas. We hope to do this again next year! We have been exhibiting at the Pet Expo in Orange County Fairground for many years. We were invited back to the expo this year with our dogs to educate the general public about the breed. Thank you for visiting us at the Pet Expo. We had a great time. Just in case you didn’t know… We have a facebook page. AKIHO, LA branch was featured in the article in Torrance Tribune Newspaper. 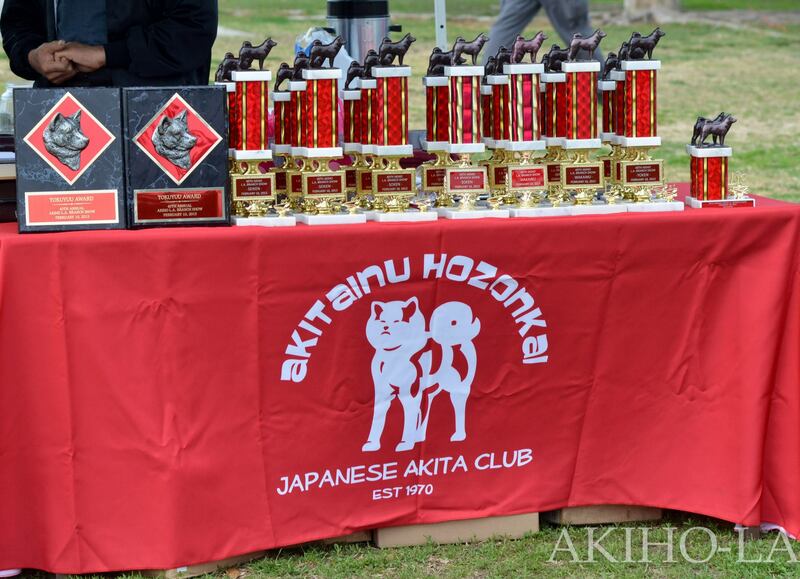 We were invited to exhibit our Japanese Akitas at the Cherry Blossom Festival on March 15th, 2015. Yamato found a new home! Yamato found a new home. Thank you everyone for spreading the word. He’ll be in Southern California still, so we’ll be able to see him at AKIHO events. Yay! One of our club members is moving and looking for a good family home for a Japanese Akita Male, Yamato (aka: Toushuu). He’s 1.5 years old, red, and an import from Japan. If you are interested or know of anyone interested, please contact Ben Herrera at 951-616-8640. Thank you.